Many people want a larger living space to enjoy, and more often than not, don’t even realise that they can get the most out of the space they already have by just following a couple of these space-saving tips. If you are tired of living in a cramped space, be sure to read on! Let’s start with the obvious: You cannot put large pieces of furniture in a small living room. Not only is it impractical, but you will continue tripping over everything and your guests will also feel cramped. Choose pieces that are small enough to fit into your space, but are still comfortable to sit on and serve a purpose. Modular furniture is a great way to save space, since the pieces can be separated when you have people over to create more space and then put together again when you need more seating. When space is scarce, it’s important to make every piece count, so choose your furniture carefully, and your living room will start to look bigger than what it is. 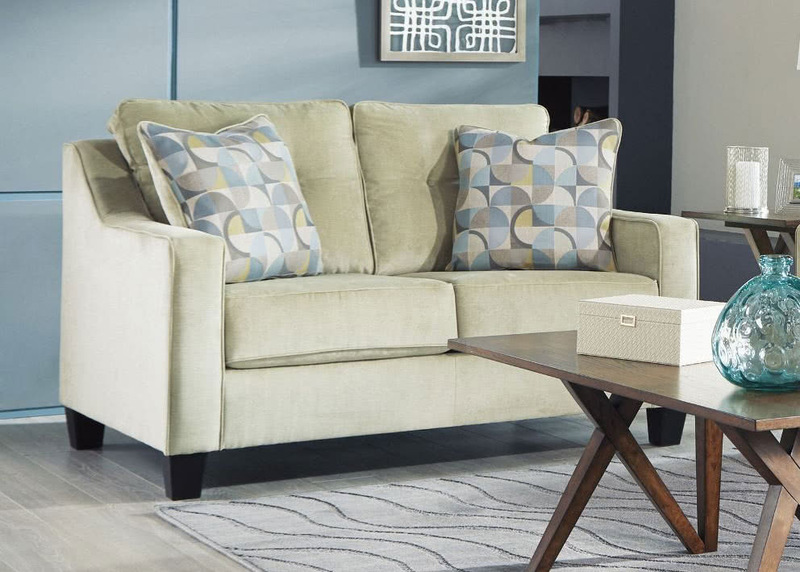 On a similar note, when you decide to only have a few furnishings, you can get one or two bigger pieces like an arched lamp with a square coffee table that stands out and becomes the focus of your living room. However, the situation would be different if the room also included a bookcase and end tables, so just keep in mind that less is usually better. Textured walls are a nice touch to any small space. Because you cannot enlarge the room or install a stone wall, using interesting wallpaper gives your living room some personality. Can we let you in on a little secret to increase space? It’s see-through or glass furniture which tastefully disappears into a room, creating the illusion that you have more space than you actually do. Glass can be expensive, but there are modern acrylic options that are cheaper and create the same effect without looking tacky. You don’t use a living room as a storage area, but there are still items you need to pack away or need within arm’s reach, so think about wall mounted storage solutions. By mounting shelves onto a wall, you are not taking away precious floor space, and if you do it properly, you can create an interesting focal point that adds both practicality and style. Other storage options are TV cabinets that have drawers to store your DVDs, books and collectables without having to go out and buy a separate bulky bookshelf. Once you’ve made all your adjustments and you love the new look, you may find that there is a small pile of items that won’t fit anymore. Don’t chuck them out, rather consider donating them to family/friends or a local charity, or find space in a another room.